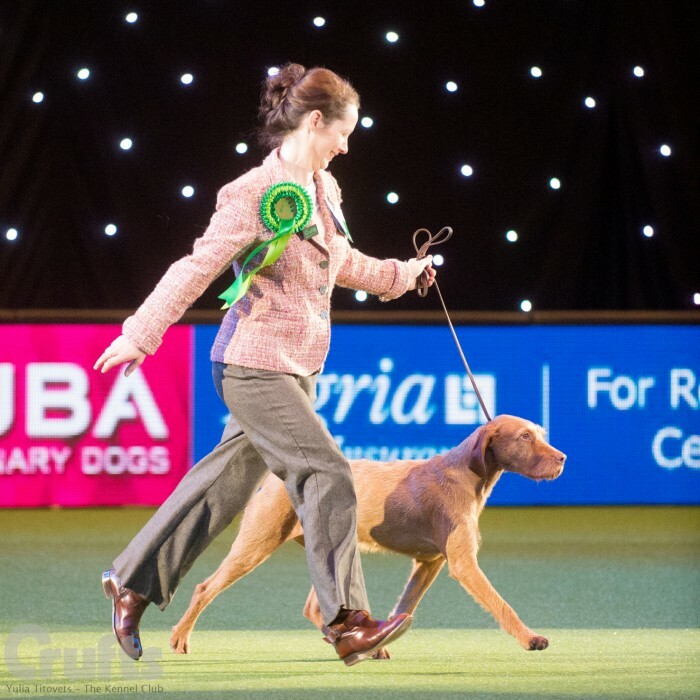 Fassfields Wire Vizslas - We have a "Passion For Wires"
Pictured above Saffy wins BEST of BREED at CRUFTS 2015. No words can descirbe how proud we are of Saffy. 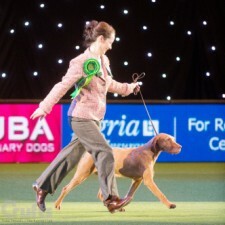 The home of our Show Champion Saffy and her family. 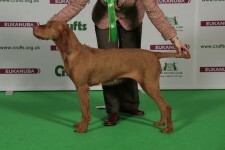 Hungarian Wirehaired Vizsla - A tremendous Hunt Point and Retrieve Gundog (HPR). Extremely versatile, with qualities such as, an excellent nose, firmness on the point, excellent retrieves and determination to remain on scent even in water conditions. 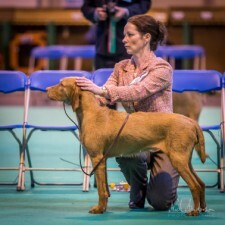 The Hungarian Wirehaired Vizsla was created in the 1930s by cross breeding the Hungarian Smooth Vizsla with the German Wirehaired Pointer. 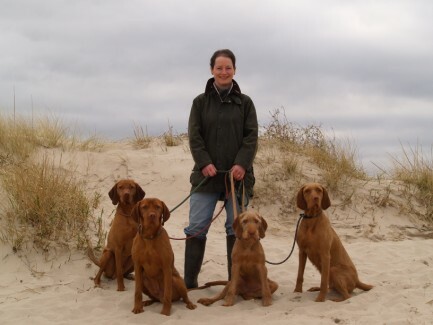 Thus giving an affectionate and very intelligent dog with self confidence, easy to train that can cope with difficult terrain and extreme weather conditions. 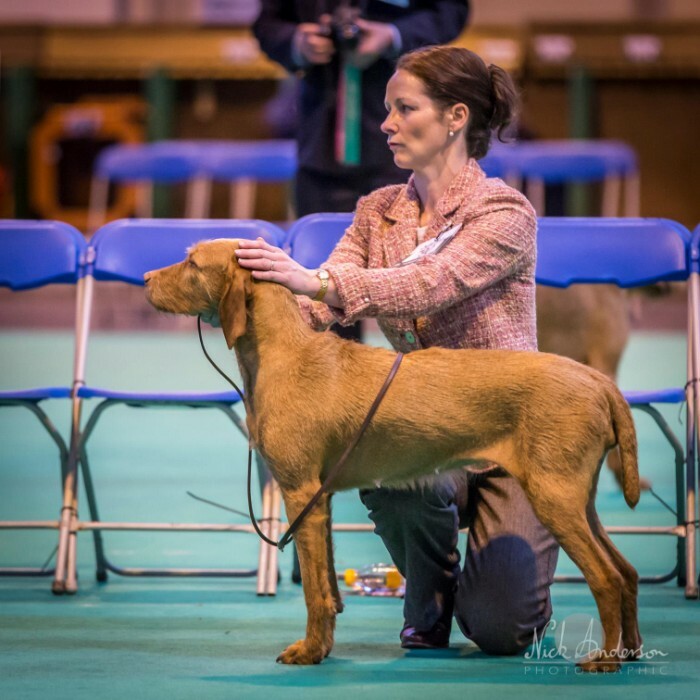 A truly dual purpose breed enjoying great representation in the show ring and having now been awarded championship status for 2011. A perfect companion both at home and in the field. "Life without Wires............. I don't think so!"